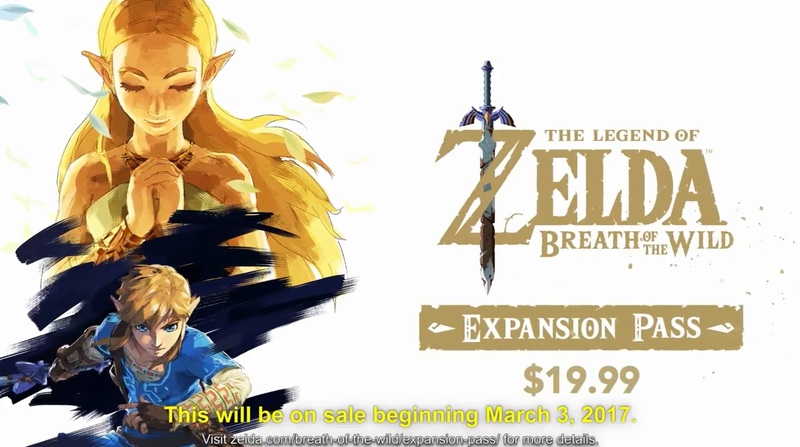 Back before Breath of the Wild was released, Nintendo mentioned that they’d be releasing two DLC packs for the game. One would be in summer, and come with Hard mode. Whereas the other would be in winter and come with things like a new dungeon and story quest. Starting with the hard mode. As you can probably guess, it’s not just double damage. Otherwise you know, it wouldn’t have taken six months to release. Instead, it’s an interesting mix of new features that may or may not catch anyone’s attention. First and foremost being, all enemies have been upgraded to the next rank. What do I mean by next rank? 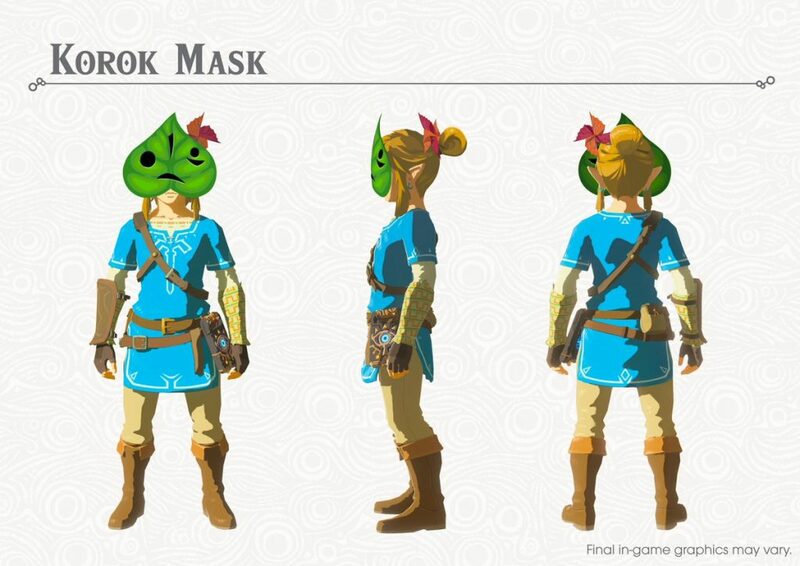 Well at the moment, Breath of the Wild has four ‘ranks’ for each enemy type. The basic one in red which is fairly weak with minimal health. The slightly harder one in blue that can survive a couple more hits. A difficulty version in either black or white (depending on the enemy type). And a super version in silver which drops jewels and other valuable items. 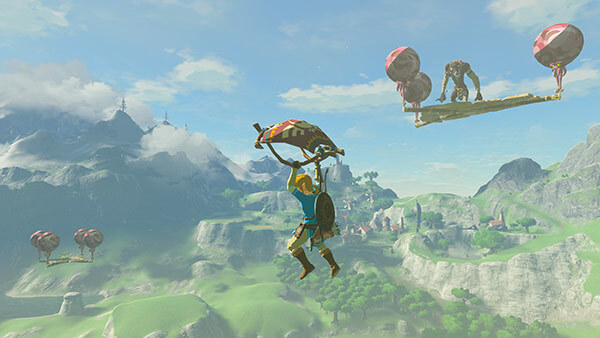 It’s the same system that makes the Lynels tougher and tougher as you clear more of the world. And so in the hard mode for the game, everyone’s rank has been upped by one to begin with. 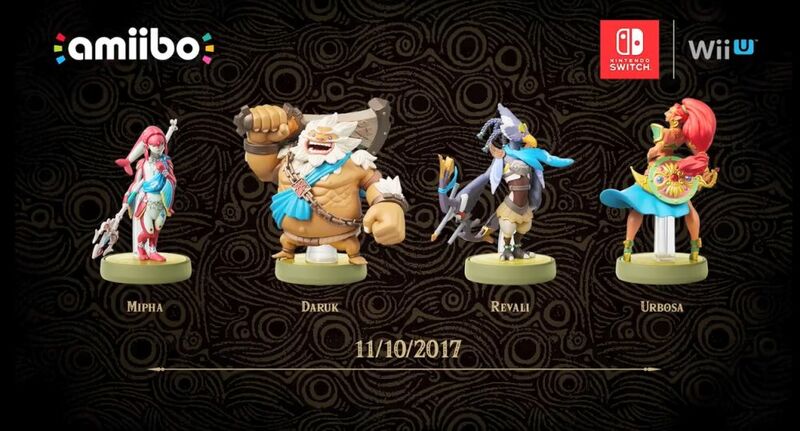 That means that harder enemies will be encountered early on, and the tougher ones (like Silver Lynels) will in turn be replaced by even tougher versions. Like say, a gold version with even more health than the already mighty silver one. It’s a minor change, but one that I guess does increase the game’s difficulty by about a fraction of a percent. However, that’s not all hard mode adds. Oh no, it also adds regenerating health for enemies. Yeah, you read that right. Now if you don’t defeat an enemy quickly enough, their health will start to regenerate over time. 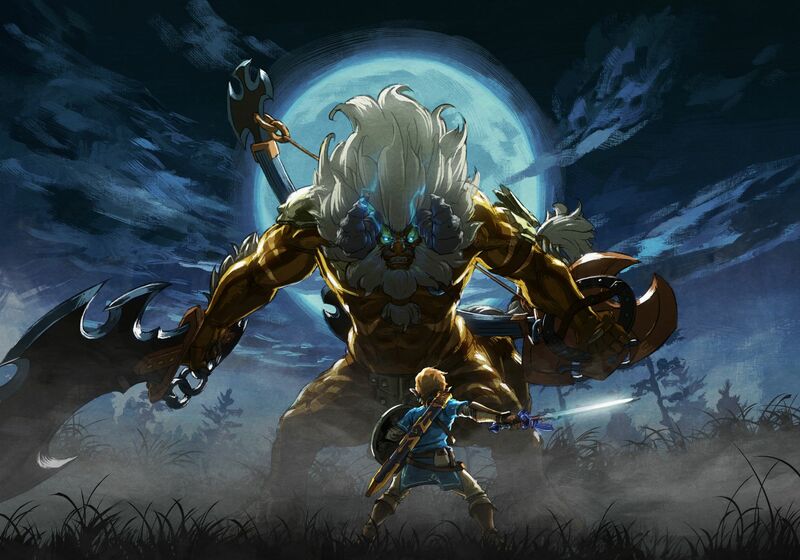 This means that staying a good distance away is not a sure fire victory any more, and means that getting close to a powerful monster (like a Lynel) is key to actually defeating it. Again, not a huge change, but one that could up the difficulty a bit none the less. Another thing that’s changed here is stealth. 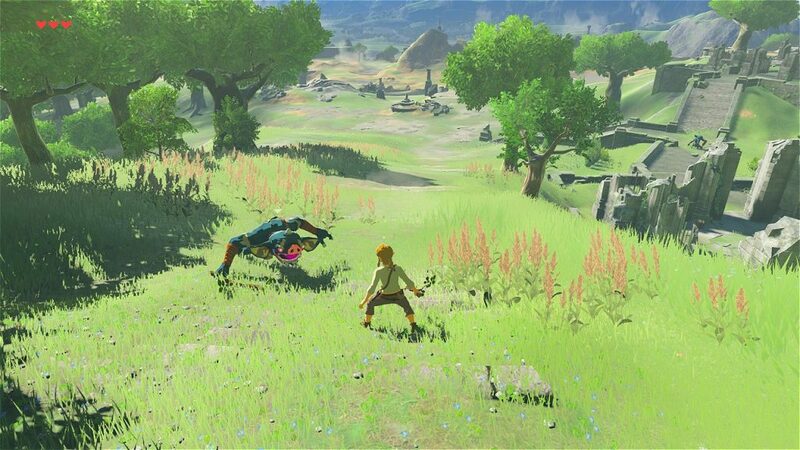 Basically, enemies can now spot Link much better, which in turn makes it much harder to sneak up on them. 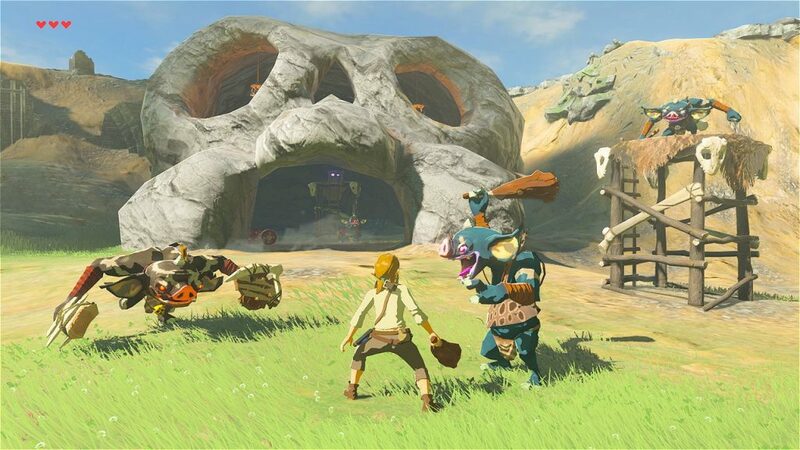 No idea if this applies to the Yiga Clan Hideout, but I’m going to guess it does none the less. So yeah, stealth sections are now going to be a tad trickier than before. Finally, there are floating planks in this game now. These planks (held up by the Octo Balloons you usually get from fighting Octoroks) hold enemies and treasure, with whoever can reach them being able to get it. Yeah, I don’t really see how this increases difficulty either. It’s a pretty standard setup that works like you’d expect, except with one small addition that’ll make it a tad harder. Namely, you don’t get to start with any armour or weapons. Yep, you heard me right. 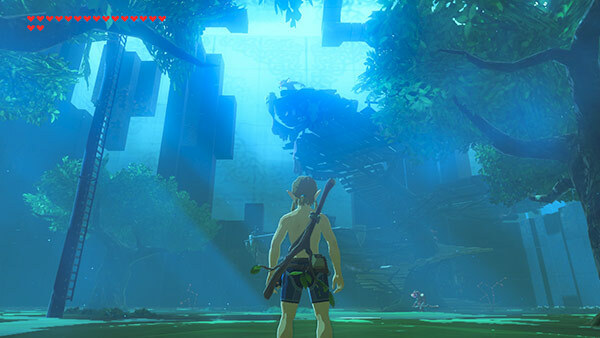 This mode works like Eventide Island, with your weapons being removed the minute you enter. As a result, you’ll need to scavenge for new equipment to stay alike, with things like runes and champion powers hence being key to even clearing the early rooms. 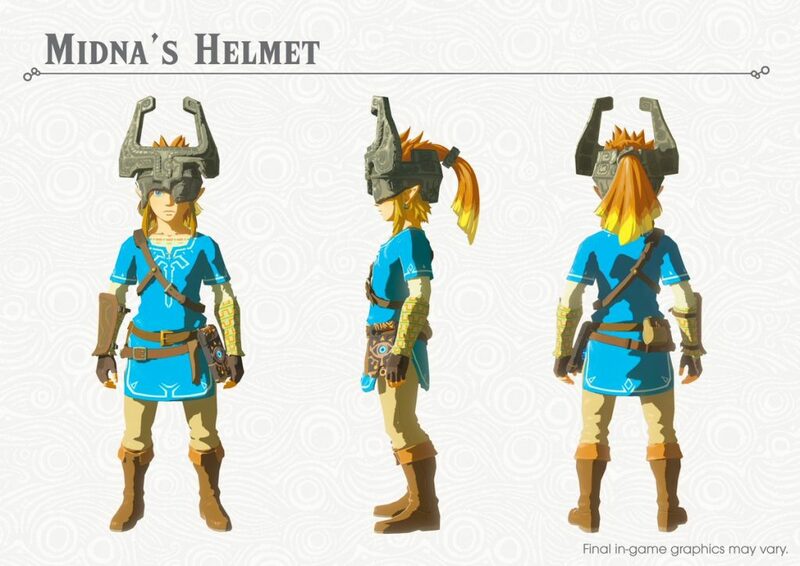 It’s an interesting little setup really, and prevents Link coming in with level 4 armour and a full armoury of Savage Lynel equipment in order to sweep it with no challenge whatsoever. But what do you get for beating it, you may ask? Well to put it bluntly, you get a fully upgraded Master Sword. In other words, it’ll then always be in its powered up state, aka the one it’s in when you’re exploring Hyrule Castle or fighting Guardians. Pretty basic reward, but I suspect the actual challenge matters a lot more than the prize here. Also added to the game is the Hero’s Path mode. This mode basically tracks where you’ve been in Hyrule, complete with a nice green line showing the player’s last 200 hours of playtime. 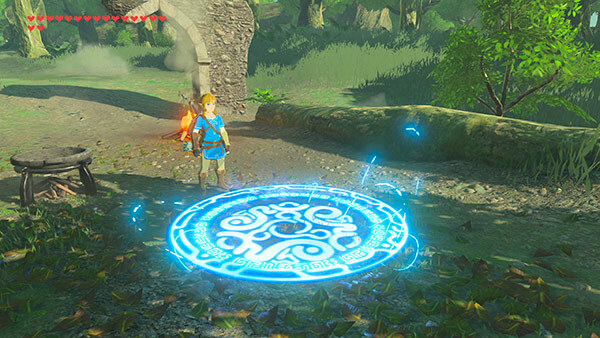 So if you need help finding the last few shrines or Korok Seeds, this could be a somewhat helpful tracker. Which itself is made better by a new item called the Travel Medallion. 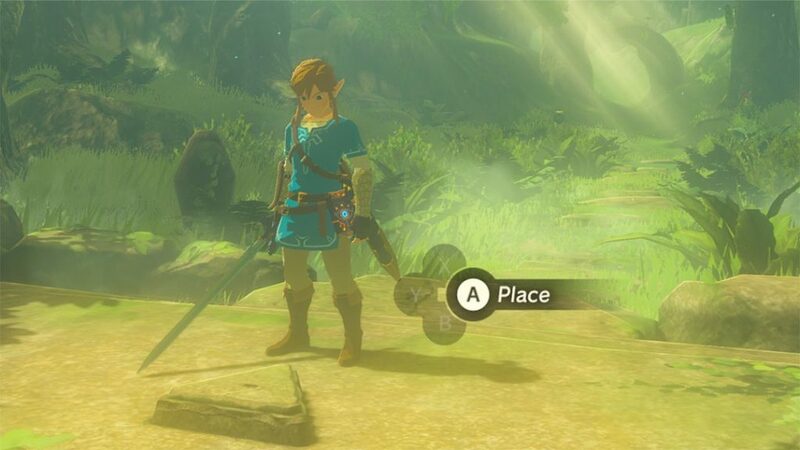 This item basically acts like Farore’s Wind from Ocarina of Time, and can be used to register a temporary new travel point on the map. Admittedly only one can be used at a time, but it does let players quickly warp back to a location not easily served by a warp point none the less. So yeah, if you want to trivialise the Blood Moon shrine quest (by setting the warp on the pedestal and teleporting back naked when the Blood Moon appears… you can do that now. Same with quickly getting good items (just set the warp to go to Hyrule Castle with the Royal Guard’s gear) or tracking a certain overworld boss you haven’t defeated yet. 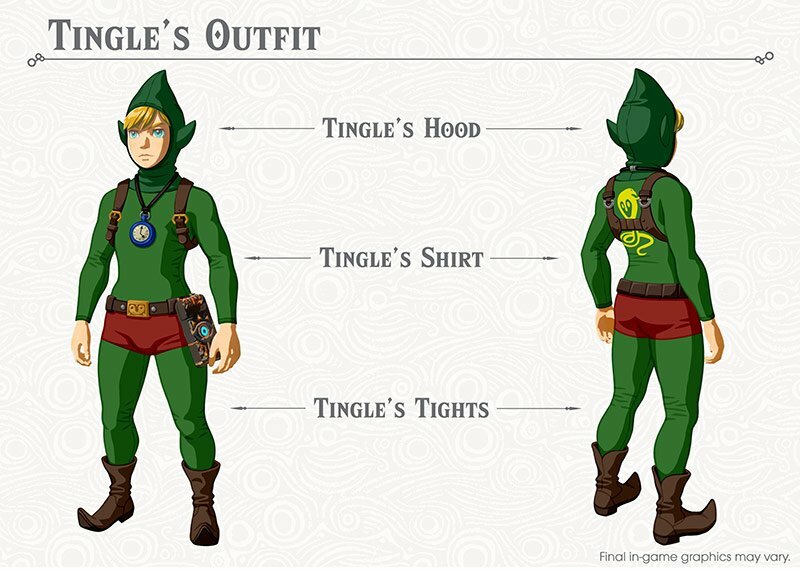 Tingle’s infamous green getup from past Zelda games, and the Phantom armour from the DS games! 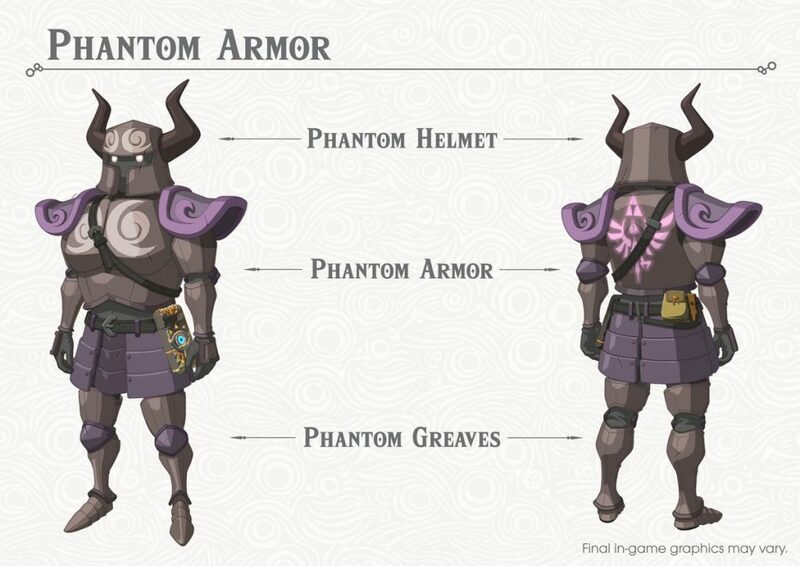 So if you want to pretend you’re a ghost knight serving Bellum or a manchild that likes fairies… that’s now possible I guess. 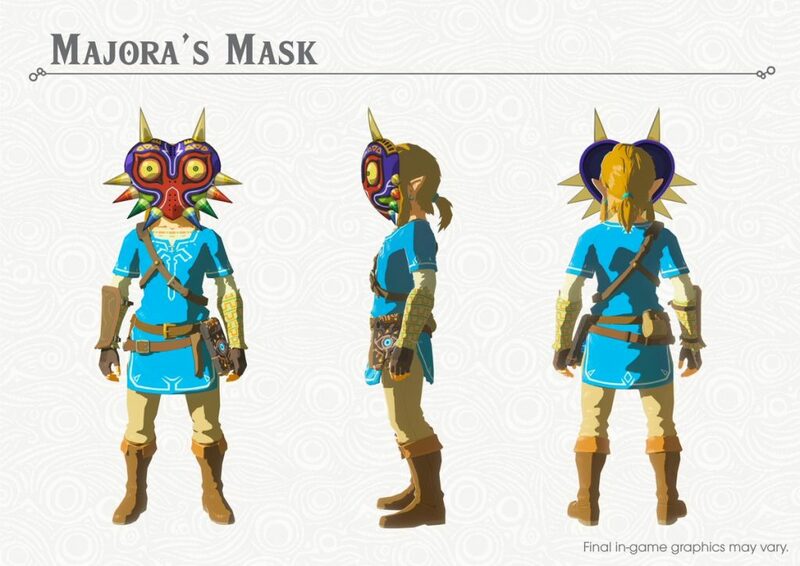 Or wearing Majora’s Mask. Hopefully the last one doesn’t cause the moon to start falling on Hyrule! You also get a Korok Mast, which shakes when a Korok is nearby. As a result, it’s now a tad easier to find all the seeds without a map or walkthrough, which is pretty nice. And so that’s everything in the first pack. But what do you think of it? Do you like the new content that’s been announced for the game? Does it make the Season Pass you paid for seem worth it? Post your thoughts on the matter here or at the Gaming Latest forums today!